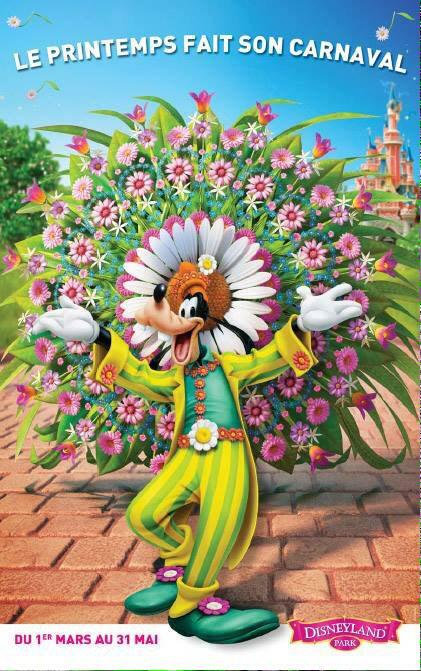 It’s official: Disneyland Paris will celebrate the 5th highest-grossing film ever this summer. Frozen, which has racked up more than 5 million ticket sales in France, will take centre stage from 1 June to 13 September 2015. 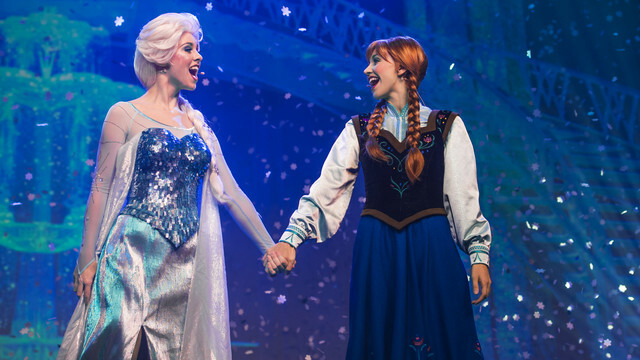 The famous sisters, Anna and Elsa, will appear on stage with Olaf, their adorable snowman, in a spectacular event that will give guests chills! 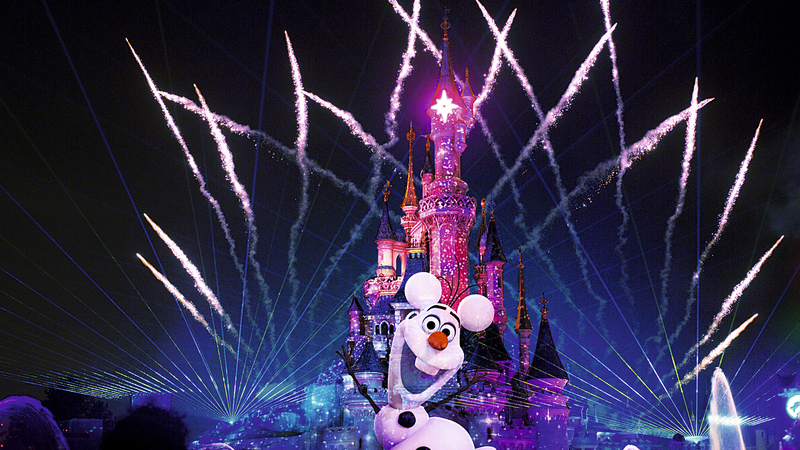 After catching a sneak peak of them in the famous Disneyland Park Parade and meeting them to pose for pictures last Christmas, Disneyland Paris guests will be able to sing along with the stars of Frozen this summer! Enjoy this unique live experience with the heroes of the greatest Disney hit of all time. Among the highlights is an emotionally charged performance of the unforgettable song “Let it go” by Elsa. [The French version of “Let it go” (“Libérée, Délivrée”, sung by Anaïs Delva) has over 45 million hits on YouTube. The show will take place several times a day, with live performances in French and English, with French and English subtitles on screen. at the Chaparral Theater, Frontierland, Disneyland Park. During June and September the show will be performed 7 days a week (6 shows a day from Monday until Friday – 12 shows a day at weekends). In July and August there will be 12 shows a day. 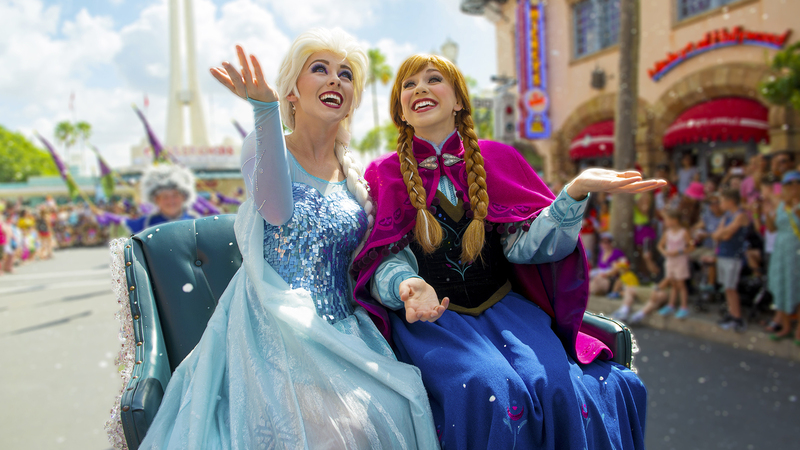 The two heroines of Frozen will appear at Disneyland Park every day, for two special events. On their frosty float, Princess Anna and Queen Elsa will star in “Disney Magic on Parade!” with Olaf. They will also cross the Park three times a day for a special carriage ride, “Frozen: A Royal Welcome“, waving to the crowd from their royal carriage. Frozen is now part of the traditional version of Disney Dreams!. The breath-taking night-time show with fountains and pyrotechnics, where famous Characters from the world of Disney come to life through projections onto Sleeping Beauty Castle. “Disney Dreams!“ tells a magical and moving story. Guided by Peter Pan, guests discover, or re-discover, the greatest Disney stories, from Beauty and the Beast to Aladdin, not forgetting Rapunzel and many others. Hotel New York architect Michael Graves dies aged 80. We are sad to report that Michael Graves, the groundbreaking designer and architect who designed several iconic buildings for The Walt Disney Company including Hotel New York at Disneyland Paris passed away on March 12. He was 80. Graves was born in Indianapolis in 1934 and received his architectural training at the University of Cincinnati and Harvard University. He started his own practice in 1964 and taught at Princeton’s School of Architecture for more than 40 years. He was a world-famous architect known for redefining modernism during the 1970s and for designing buildings that made bold references to classical architecture. The Disneyland Paris French fan forum ED92 are reporting that after several days of wage negotiations between Unions and Disneyland Paris, a general strike will be launched tomorrow. They are reporting the strike will start at 07:30 tomorrow morning in the Back Stage areas of the resort. It is unknown at this time what implications this strike may have for Guests of the resort . 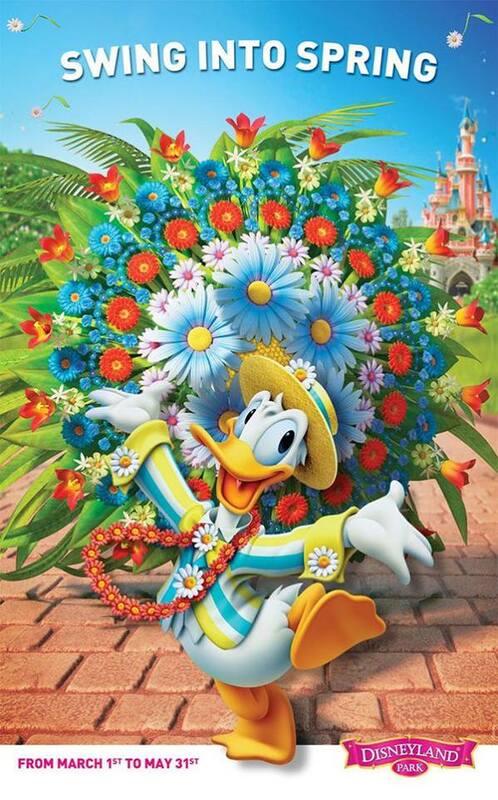 The first Frozen Summer Fun festival Disneyland Paris television commercial aired today (1 March 2015) in the UK. This month sees a varied collection of Trading Pins being released. On the 14 March a special St. Patrick pin will be released. 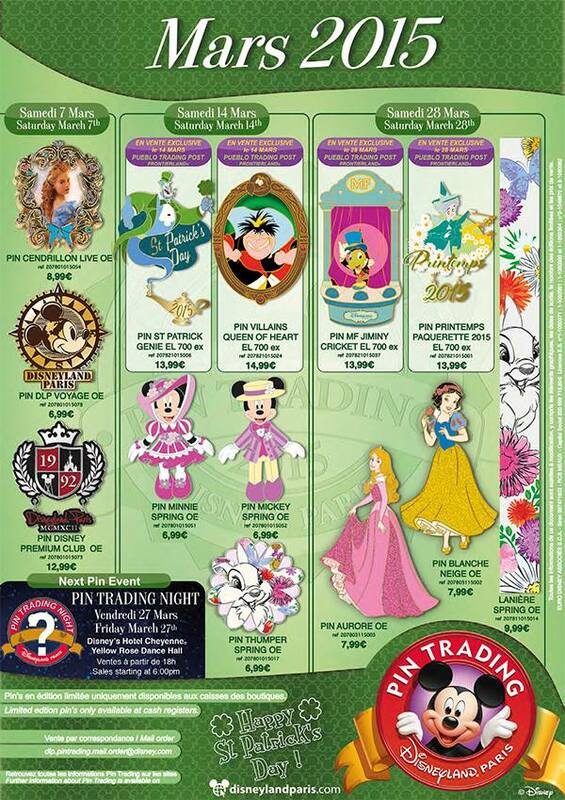 This months Pin Trading Night will be held at the Hotel Cheyenne in the Yellow Rose Dance Hall on 27 March from 6 PM.